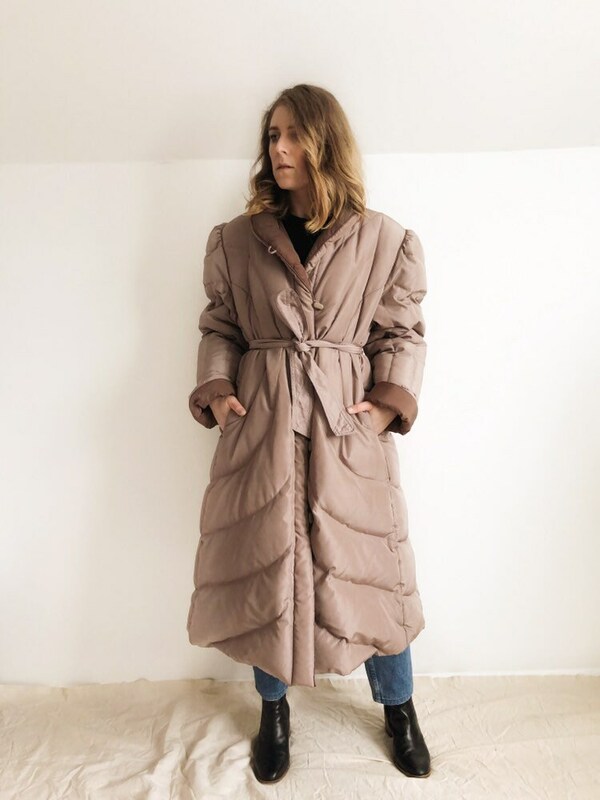 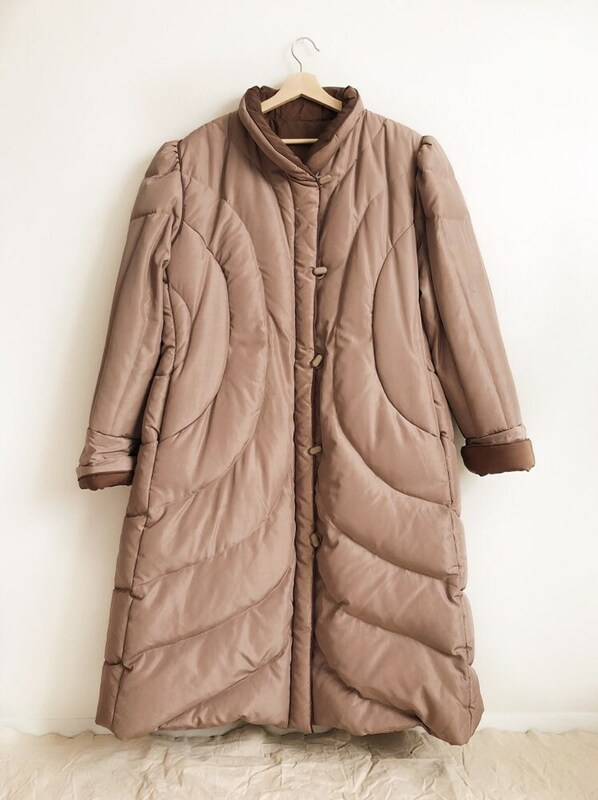 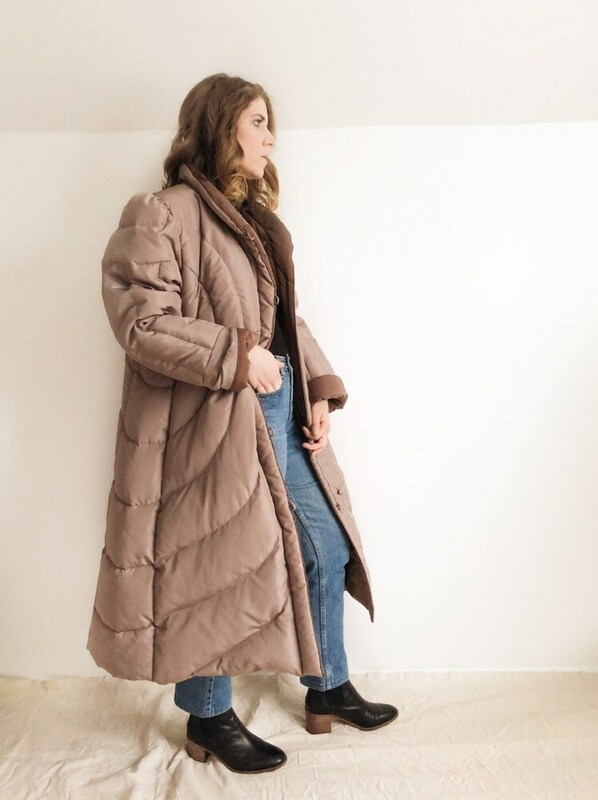 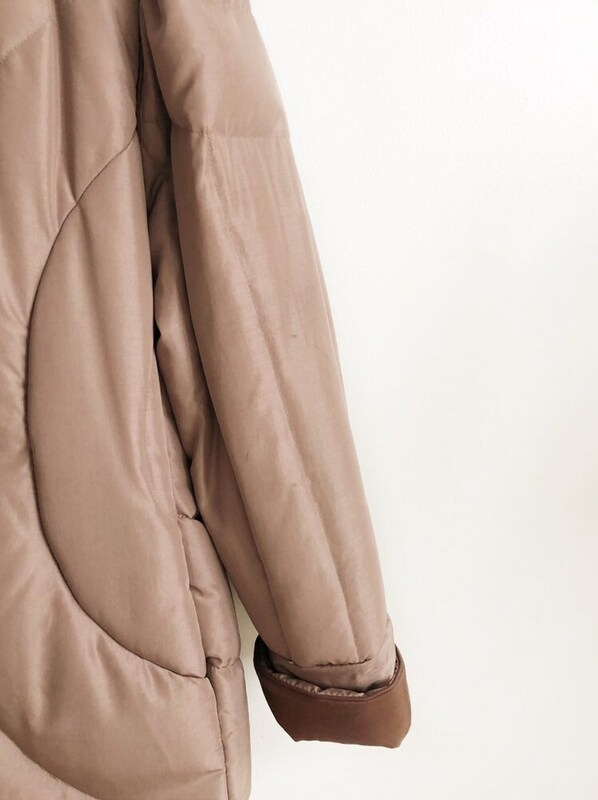 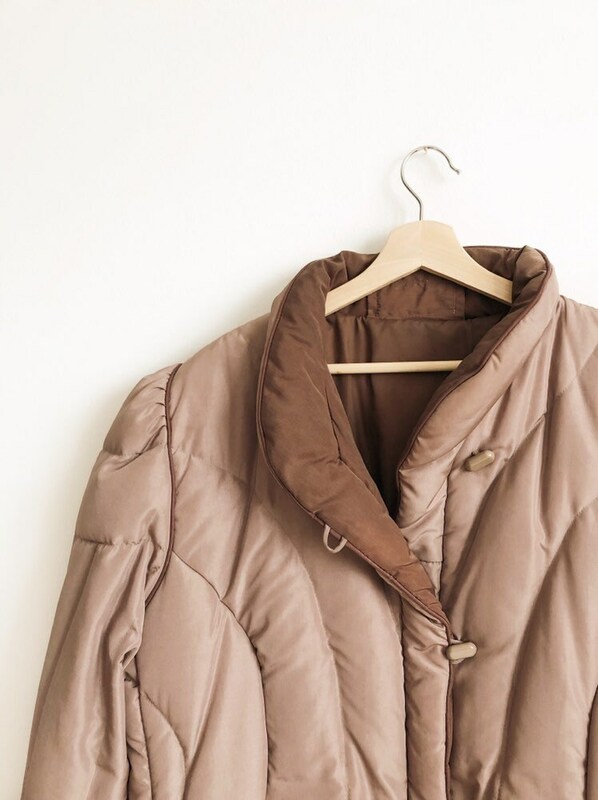 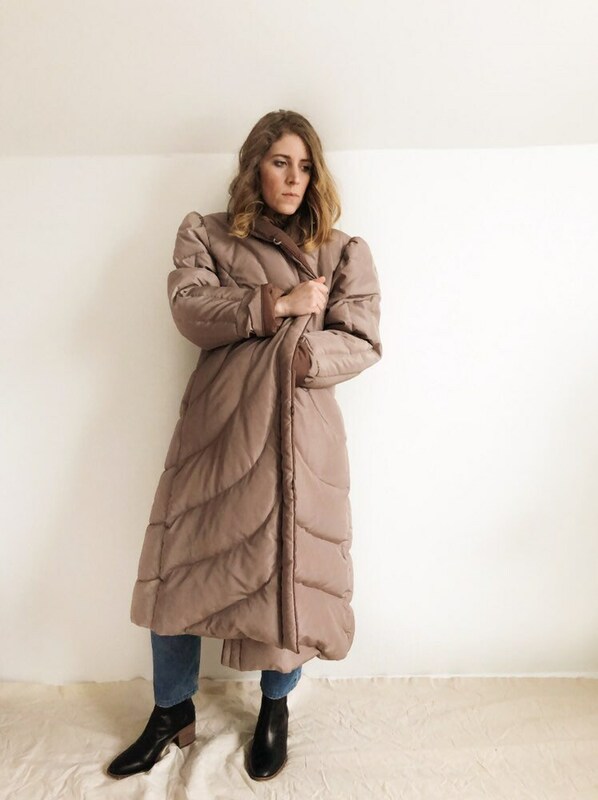 Vintage duvet style coat filled with down. 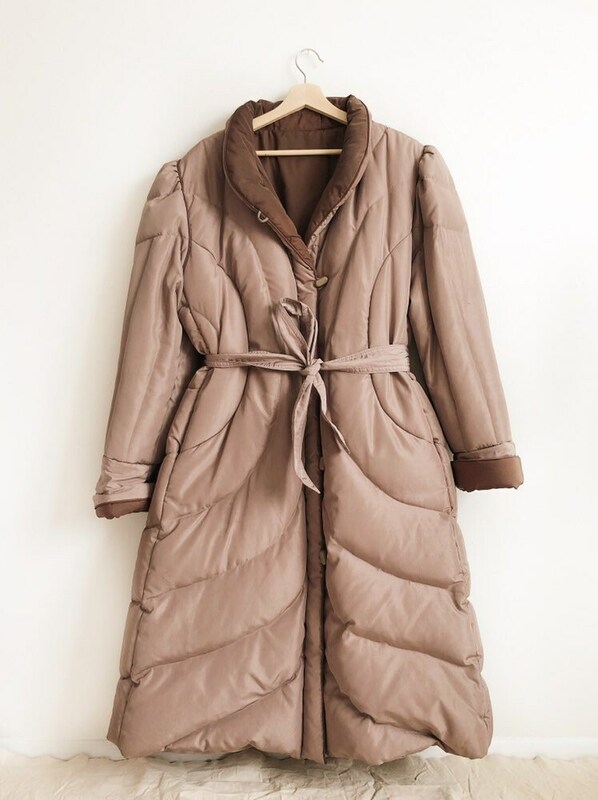 Feature two-toned colors, option of belting and piping along the shoulders. 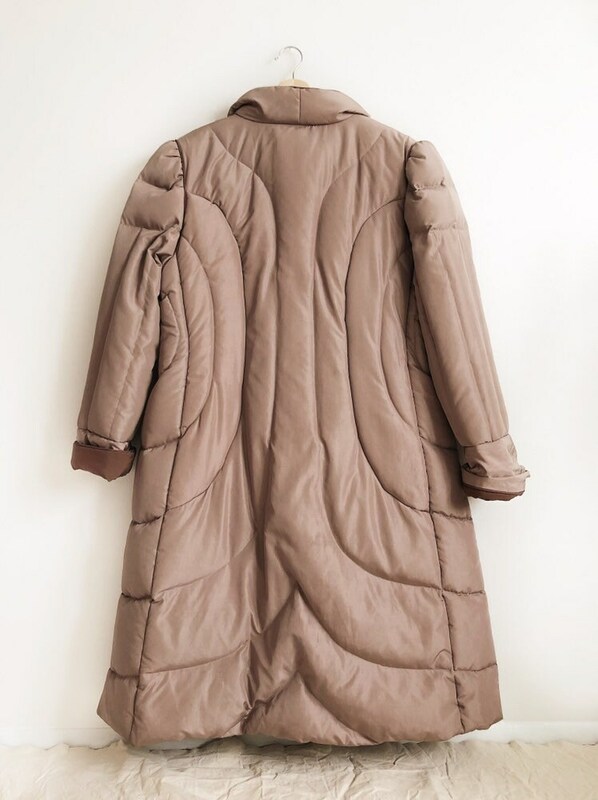 From Lane Bryant, made in Korea. 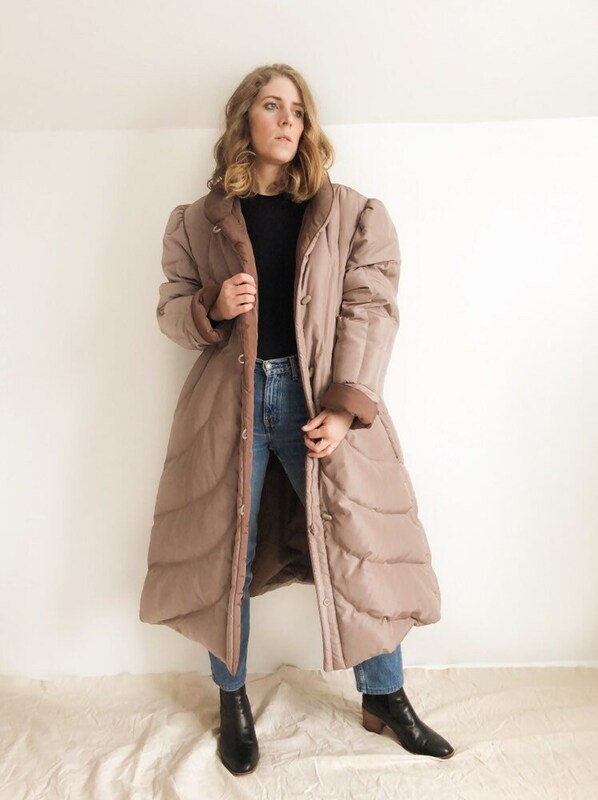 Labeled a size Medium, but see measurements below for a more accurate fit. 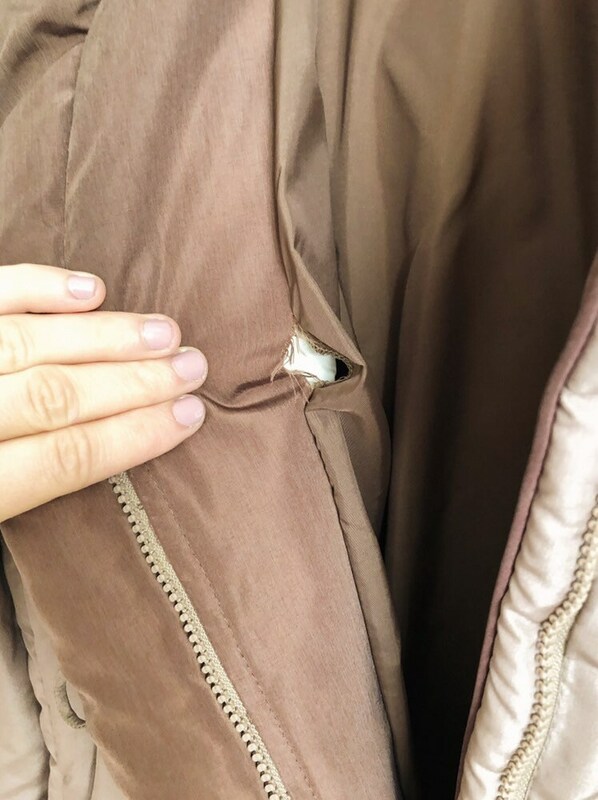 There is a small tear in the interior lining, very easy fix!